March marks the beginning of spring. Warmer weather is meant to work its magic as we wave goodbye to what feels like a never ending winter. Sadly, we're often lulled into a false sense of security and rarely see temperatures make it to double figures. Waiting another month or two for a hit of vitamin D simply isn't an option – we need sunshine now! As luck would have it, March is a great time of year for outdoor enthusiasts and action-packed experiences. Grab yourself some out of season sun with our guide to where's hot in March. Found at the foot of the Sierra Nevada Mountains in one of the most diverse regions in all of Spain, Almeria is a rare peek behind the curtain – a true slice of Spanish life untouched by mass tourism. Boasting beautiful beaches, traditional whitewashed fishing villages, rich Arabic history and sun-baked desert-like landscapes. You're sure to discover a road less travelled, where adventure calls and unique surprises await. Almeria in March is scented with sweet smelling orange blossom, letting visitors know that spring has well and truly sprung! With the most hours of sunshine and lowest rainfall in all of Europe, temperatures will start hitting 20°C and creep up as the month continues (a welcome change from the UK's averages of 8°C). Perfect for any and all outdoor pursuits, think walking, hiking, mountain biking, horse riding, diving, rock climbing – there's really no shortage of activities to keep adrenaline junkies and thrill-seekers entertained. Coupled with dramatic landscapes and picturesque valleys, outdoors is officially the place to be! 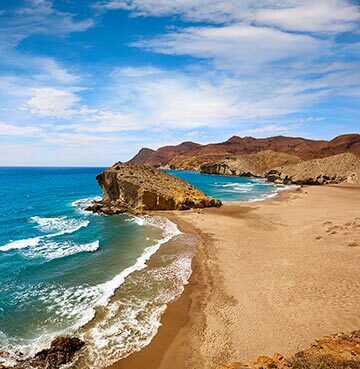 A staggering 100km of coastline and breathtaking beaches sprawl out across Almeria's shores. Spectacular stretches of sand have somehow remained unspoiled and are just waiting for you to lay out a towel and enjoy the sizzling sunshine. Some of the most stunning can be found in the natural park of Cabo de Gata, where there are plenty of Blue Flag beauties to go around. Dark sands, fine sands, golden sands, calm waters, natural barriers, volcanic rocks, bustling and busy or pin-drop peaceful – you're sure to find the answer to your perfect beach day prayers. Beyond the beaches, Cabo de Gata is wild, isolated and utterly unmissable. Home to Europe's only desert, prepare to feast your eyes on rolling sand dunes and magnificent mountains. If your bucket list calls for getting off the beaten track, the Desierto Tabernas is the perfect candidate. A huge network of signposted trails mean you can explore by foot, bike or on horseback worry free. Forts and castles pepper the dusty landscape, as well as spaghetti western movie locations and lost gold mines. How many will you stumble upon? Charming Spanish villages make for a meandering maze of narrow cobbled streets and eye treats. Whether set beside a characterful cove, or perched high among heavenly hilltops, each village is unique and full of its own flavour. 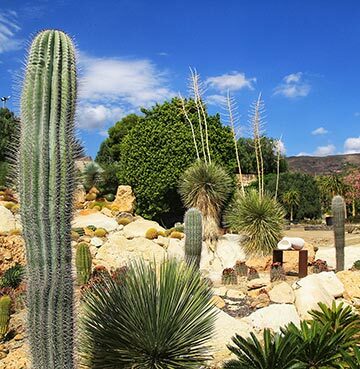 A favourite among visitors is friendly Los Gallardos, which you'll find between the sea and mountains of Bedar and Mojacar. 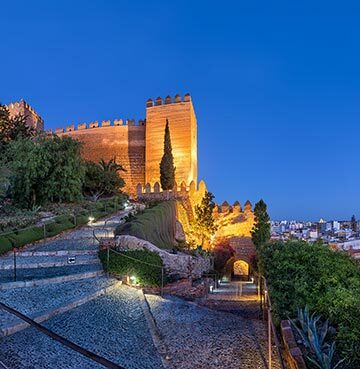 No trip to Almeria would be complete without exploring the iconic Arabic Alcazaba. Dominating the city's skyline, the magnificent Moorish marvel can be seen from pretty much anywhere. If you're up to the climb, make your way to the top and enjoy unbeatable views over the sea, city and mountains. Panorama perfection – be sure to pack a camera! The picturesque palace, flawless fountains and gorgeous gardens are sure to etch themselves in your memory forever. 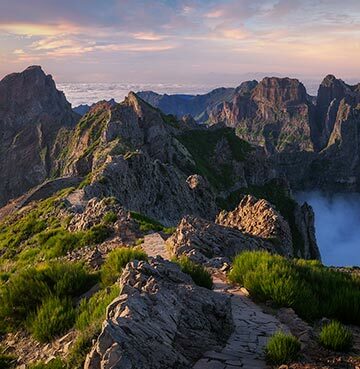 Madeira is the mecca for outdoorsy experiences. The sub-tropical island is bursting with luscious landscapes, mountain ranges and botanical gardens. Blanketed in bougainvillea, lilac jacarandas and colourful orchids – it's nothing short of blooming beautiful! Dramatic and wild, scenic cliffs soar from the bright blue ocean. While the striking interior towers to 1,860 metres in places and is a match made in heaven for adventure seekers. Natural beauty extends as far as the eye can see, so cameras at the ready as you prepare for jaw-dropping vistas and breath-taking panoramas. Climes are warm and gentle throughout the year, and Madeira in March is no exception. Average temperatures of 20°C are awesome for activities. Which is good, because this Portuguese paradise is all about getting hands on with the great outdoors! Hiking, abseiling, canyoning, whale watching, sailing, diving, mountain biking, horse riding, paragliding – there's something for every kind of thrill-seeker and adrenaline junkie known to man. Famed for walking and hiking, the island's 500 mile network of spectacular ambling routes and nature trails are good for the soles. 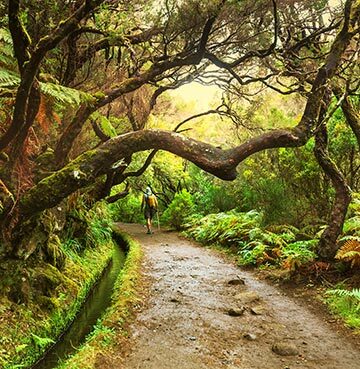 Some of the most popular walking paths are provided courtesy of Madeira's distinctive Levadas. The iconic water channels date back to the 16th Century and redirected heavy rainfall in the north to the drier, sunnier regions in the south. Now they're natural walking paths that make for serene scenic walks. Not all levadas are created equal though – some are steep and challenging, and others even require helmets – so choose your pathway wisely! Many of the trails take hikers deep into the lush Laurel Forest. A UNESCO World Heritage Site, the forest is both enchanting and eerily beautiful and sits in the remote heart of magical Madeira. 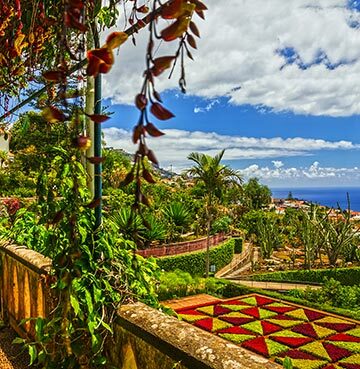 The capital, Funchal, is a must-see marvel. Made up of museums, monuments, botanical gardens, amazing architecture and extraordinary viewpoints. Just getting around the city is half the fun, with conventional means of transport like sightseeing buses and taxis to unorthodox use of whacky wicker toboggans and captivating cable cars. The city's old town is peppered with cobblestone streets and characterful old houses, not to mention some of the island's oldest buildings dating back to the 15th Century. Madeira may not be blessed with golden sands, but its natural black basalt stone bays found between soaring cliffs are unique and well worth a visit. If a good old fashioned beach day is just what the doctor ordered, then adventure to neighbouring Porto Santo for postcard-perfect sunbathing prospects. Where you'll find sand stretching out for miles and clear warm waters that gently caress the shore, as well as a few traditional cafés and eateries in nearby Vila Baleira.